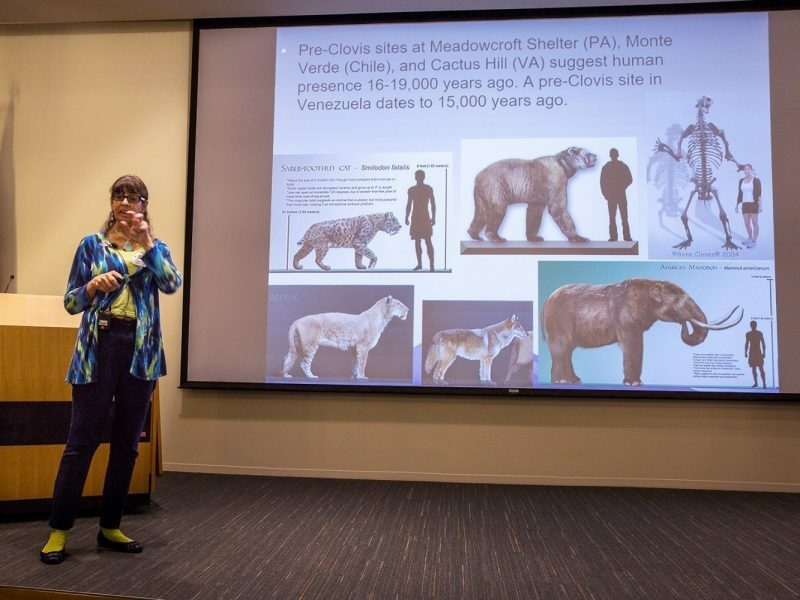 Karenne Wood speaking at the NASA Langley Research Center. 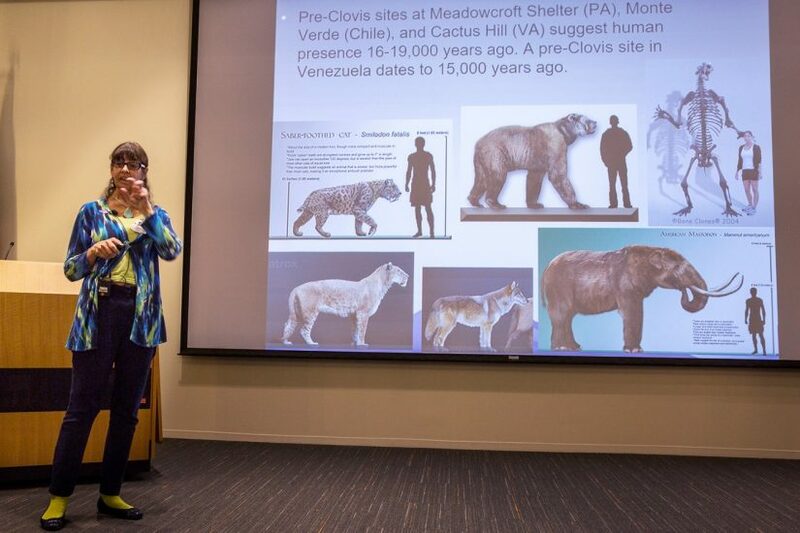 Photo courtesy David C. Bowman. 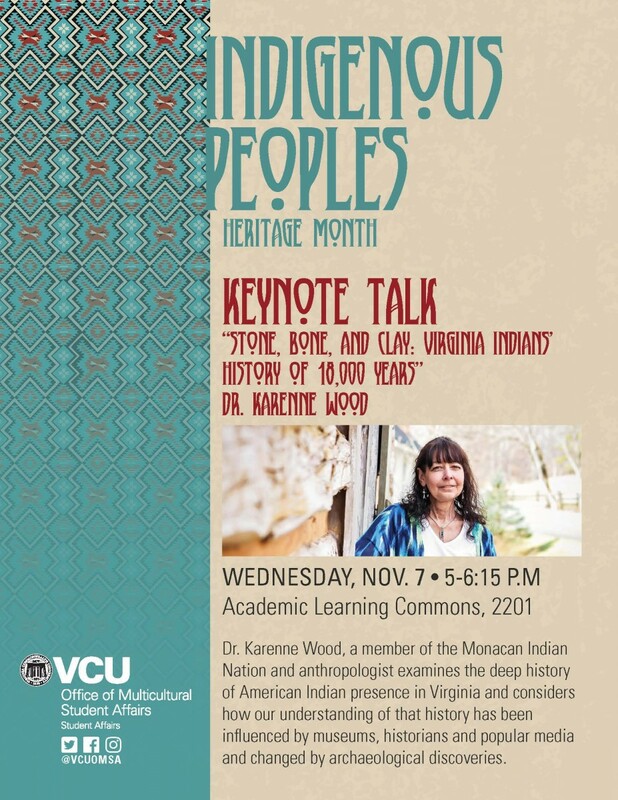 Dr. Karenne Wood, a member of the Monacan Indian Nation and director of Virginia Humanities’ Virginia Indian Programs examines the deep history of the American Indian presence in Virginia and considers how our understanding of that history has been influenced by museums, historians and popular media and changed by archaeological discoveries. 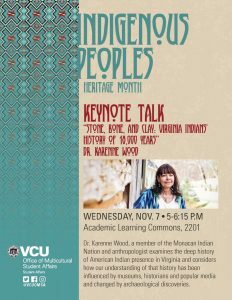 This talk is presented during National Native American Heritage Month by VCU’s Office of Multicultural Student Affairs.